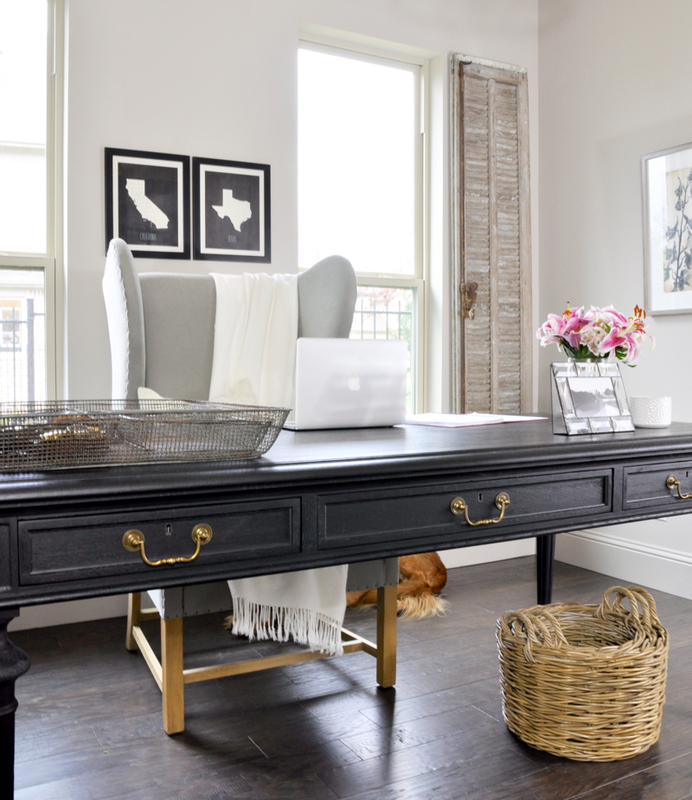 I never dreamed that one day I would be blogging about interior design. I have to be honest here as being a blogger is one of the most challenging things I have ever done. It is also one of the most rewarding. By beginning this blog, I have been able to connect with others who had a similar passion for design. This is also one of the main reasons for beginning the predecessor to DecorGoldDesigns.com. When I began @decorgold on Instagram, I did so for a number of reasons. I wanted to be a part of a platform that celebrated design. I was also hopeful that I could gain some inspiration while simultaneously offering some of my own. (Read my tips on growing your Instagram here). 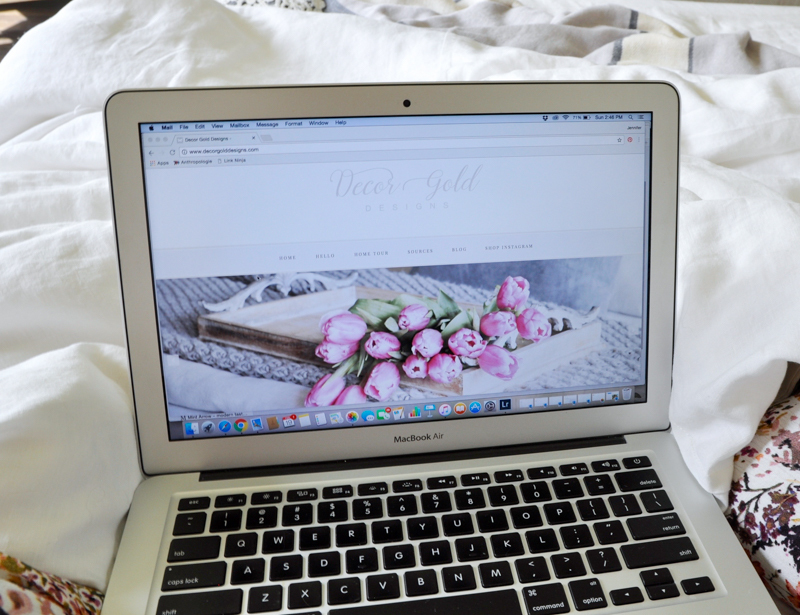 I met a wonderfully tech savvy friend who helped convince me that I needed to start blogging. 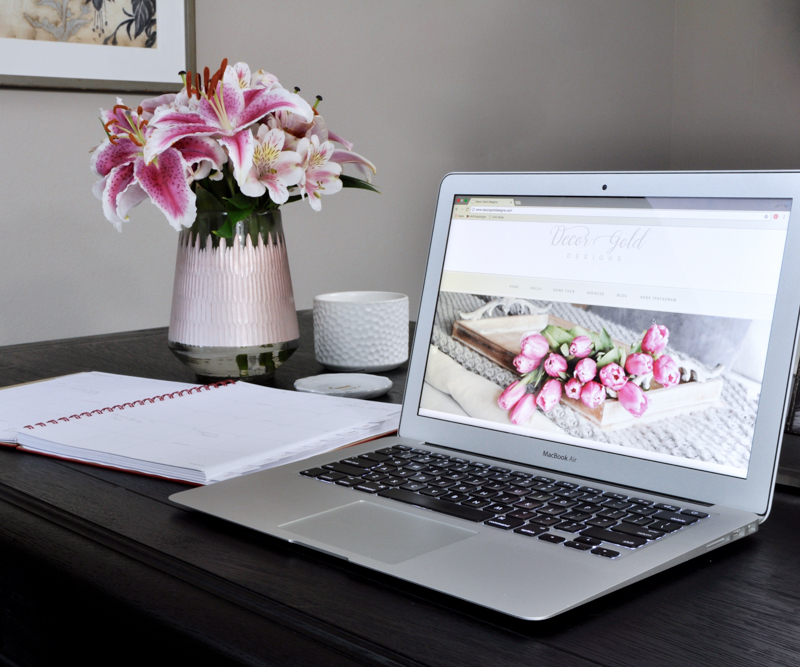 Tana of Your Marketing BFF has been an integral part of the success of this blog. She answered countless questions and was always eager to help. She also designed my website. In truth, I would not be where I am today with this business were it not for her. More on this later. Through Instagram, I formed a great number of friendships. One of those was Bree from ZDesign at Home. 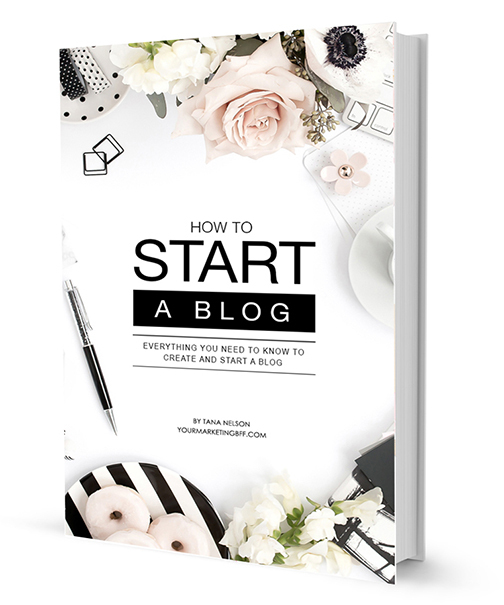 When I found out she was going to start blogging too, I was thrilled to know that someone else would be learning all of this at the same time I was! And that someone happened to be a close friend! Randi of Randi Garrett Design, another dear friend, was also a huge help in the beginning and is still to this day. She walked me through some of the most challenging tasks and helped me at all hours of the night. I could go on and on about blogger friends (the two mentioned and others linked below) that have helped me. Strength in numbers, right? I wish I could count the number of phone calls and texts that we shared between ourselves as well as our little sorority of bloggers. Their support enabled me to believe that this could be successful. In the spirit of transparency, I decided to take on this full-time job before I realized it would be a full-time job. And by full-time, I don’t mean a typical 8-5 job. I am not saying that you couldn’t be successful blogging within a typical forty hour work week. However, in order for me to accomplish what I need to on a weekly basis, many additional hours are required. The truth is there is always something else that I could be doing in order to advance this blog. I try to focus on the things I can control or improve upon. You can find a tour of my home office HERE and sources HERE. *Affiliate links are included in this post for your convenience. Now that you know my story, I’d like to share a few lessons I learned during my first year of blogging. I had to teach myself to use a nice camera. I started in aperture priority mode and finally acquired the knowledge and confidence to move to manual mode a few months ago. I also use a tripod and upgraded my lens. These things have made all of the difference in the world regarding the quality of my photos. It has also made blogging that much more enjoyable. I minored in Computer Engineering in college. I am kidding!! You can ask Tana for verification. If anyone can speak to my technical limitations, she’s the one. When I began this journey, I had never seen the backside of a website. Additionally, I had not seen or been exposed to computer code. And I absolutely HATE asking for help as much as my husband hates asking for directions. At the end of the day, I did learn to ask a number of people for help, guidance, etc. However, I always try to figure things out on my own because I know I will be more likely to retain the information and be able to solve the problem the next time it reveals itself. And trust me, it will. My husband manages and coaches sales teams. One of the statements I always hear him say is “There is always something more we can be doing to improve sales.” The same can be said of increasing blog traffic. There is always something I could be working on; from SEO to social media to collaborations. The possibilities are endless and without organization, it can dominate the day without even trying. Blogging requires you to wear many hats. Certainly it helps if you learn to write well. As if that wasn’t challenging enough, you must also learn to promote yourself, design photos, juggle social media accounts, manage email as well as weigh legitimate business opportunities versus those who are trying to take advantage of you. Each day you must have a business plan regarding what you are needing to accomplish. In this business, there is not a natural stopping point. It just doesn’t exist. Time management is crucial when it comes to blogging. It is probably the most difficult aspect of this business for me personally. In order for me to stay organized, following a content calendar is crucial. If you want to make money blogging, you can. But, here’s the thing. You have to know what you are worth and what you bring to the table. I cannot tell you how many times I was approached by a company that wished to tell me what they thought I was worth. There is a disconnect here. They reached out to me. They saw something that they liked about my site, social media, etc. Yet, many times they wanted to bargain for my services. You have to know your value. Similar to real estate, your location (read exposure) on the internet has value. Reaching a broad audience has a certain value. Reaching a broad and targeted audience has a greater value. Do not let yourself get taken advantage of by working for less than what you are worth. Know your value and how you can benefit the company and their product. This will help you negotiate from a position of strength. One thing is for certain if you decide to embark upon this career path: new friendships will be created. You will depend on them for guidance and help. They will be your sounding board for everything from frustrations to successes. These new friends will hopefully guide and help you as you go down this path. It is important to surround yourself with blogger friends who have a similar drive and goals. They will understand the ins and outs of your daily struggles. Instagram. Pinterest. Facebook. Social media is the fuel that feeds the blogging engine. These are tremendous marketing platforms which help promote and mold your style/identity in the blogging world. I have always tried to post specific content that properly reflected who I was as a designer. If you choose to start a blog one day, I would recommend a dedicated and scheduled use of a variety of social media platforms. Additionally, I always say to be authentic to who you are. Your audience will appreciate your consistent content. Most importantly, don’t ever give up! Is it hard work? Yes. Can it be rewarding? Without question. If you embrace this challenge with everything you have, you’ll have no regrets. And who knows, you just might have a successful business which will begin to sustain itself in the future. Lastly, if you look closely you will see one of our golden retrievers. I must admit that getting to hang out with him and our other pets is one of the benefits of working from home. You can find all available sources for my office HERE. I have also shared most pieces below. Click on the image and scroll to find additional items. During evening hours, I blog from this room. Riley wants to be near me in this room too. You can find all available sources for my bedroom HERE. I have also shared a few items below. Click on the image. I cannot thank you all enough for your support of this blog. It means the world to me and my family. I’m so excited to see what the future has in store! Now I’d like for you to visit my friend, Bree. 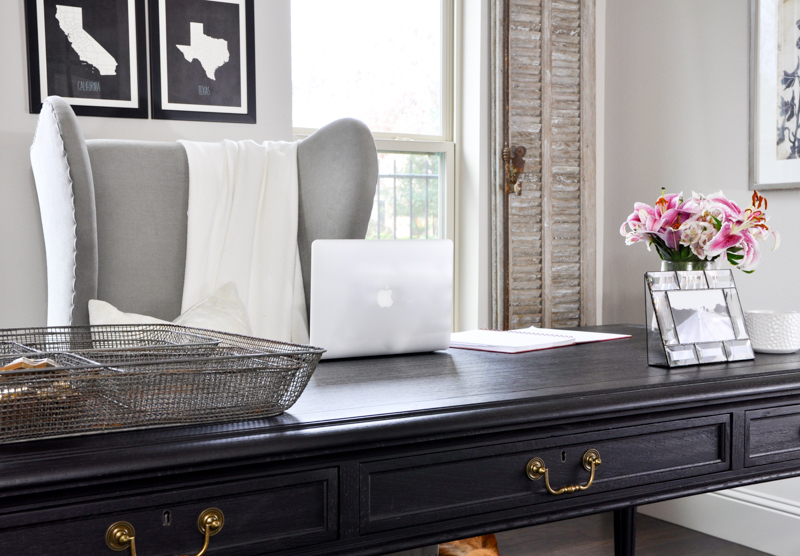 Her blog, ZDesign at Home is one of my favorites and I know you will love it too. 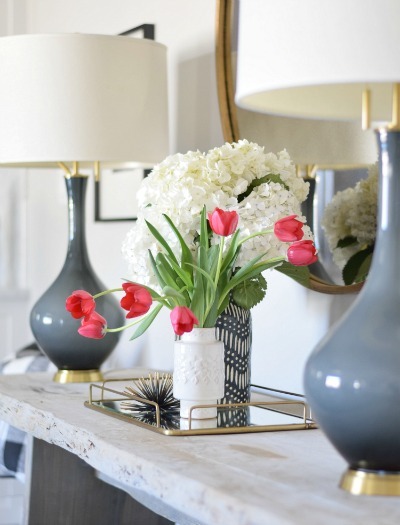 As I mentioned above, she started her blog at the same time as I started Decor Gold Designs. In addition to Tana, Randi, and Bree, you can also find some of my favorite blogs at the bottom of this post and a picture of all of us together. Great tips – there is so much to learn when you start blogging! I’m still learning as I go along. Thank you Jenny! Yes, so much to learn. I’m guessing that never changes! Love it, Jen! Such great advice! That photo of all of us warms my heart! Love you all to pieces! Can’t wait til we can see each other again! Bree!!! I couldn’t have made it without you either! What a rollercoaster our first year was, but we made it and learned so much together! So grateful for your advice, ideas, and especially for your friendship. LA was great…..just too short! Yes, our friendship is the best part by far! I never dreamed that I would have someone so special in my life who has such similar thoughts, ideas, and design taste as I do. You are an amazing friend and I love doing this crazy blog thing with you! Jen, I love this and love you! So glad you joined in on this journey of blogging! Thanks for always fueling my creativity and inspiring us! Can’t wait to see what more you do! Thank you so much sweet Summer! I’m so grateful to have met you through our mutual passion for design. I can’t wait to see what the next year has in store for each of us! Erin, you are such a sweet and supportive friend! There is no way I would have made it through the first year without the loving advice and guidance from you and Kris! Your willingness to help is so touching. I just love knowing you! Such great insight, Jen. Thanks so much for sharing. I just started a blog so this was very helpful for me! Thank you Lisa! Glad you found some helpful information. Good luck to you! The first year is the most challenging, so hang in there! Thank you for inspirational post. I started my blog a month ago, which has been a complete learning experience. I am still spinning, wearing lots of hats, learning a lot along the way, but I love every minute of it. 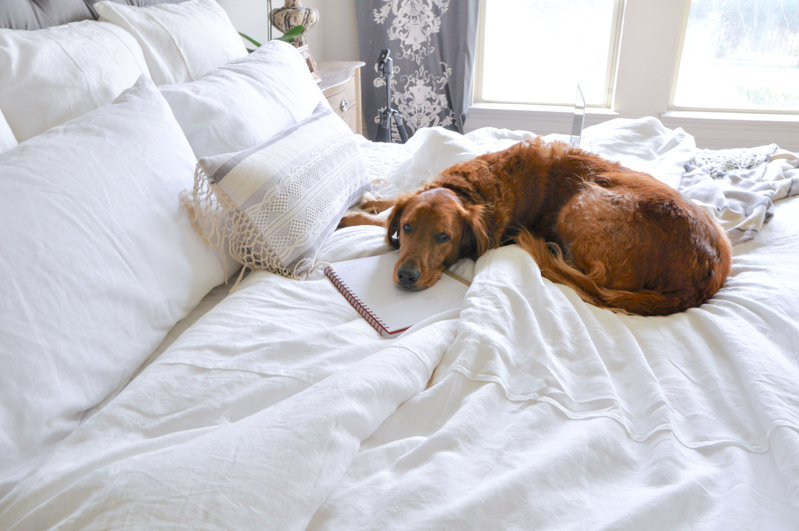 Blogging truly is a labor of love, my father alway said if you “do something you love you will never work a day in your life”……well I love it, but it takes a lot of prior proper planning…(part of my 7 P’s rule). I hold out hopes of finding “my tribe” as you did, I think I could really befite from the sage advice of seasoned bloggers. Hi Jennifer! Congratulations on your new blog! I would definitely encourage you to spend some time on social media. It’s a much easier place to meet other bloggers with similar passions. Finding friends (or your tribe) happens naturally like in real life. Also, you can often learn just as much from new bloggers as from seasoned ones. Good luck to you!!! Thank you so much for the post! I recently just started a design blog and any information I can get at this point is HUGE! Its nice to hear from people that have done what your doing and made it a success, so thank you! Ashley, you are so welcome! I am glad you found it to be helpful. Best of luck with your new blog! Awwww Tam, you are so sweet! Your friendship is such a gift! You always inspire me too! I look up to all of you who have been doing this longer than I have. Love you friend! Thank you so much Leslie! I love that I met you through Instagram and I’m am so excited to watch your blogging journey continue! Thank you for this post, I’m thinking of blogging too, I have goals staged in the next 3 years for blogging and other personal goals. I’m grateful u shared ur first year. That is what I appreciate most about blogging and bloggers, the willingness and the love of sharing. Whether it is homes or something from personal lives or both, the sharing and caring is evident thru out many blogs. That’s what makes me want to blog. I want to be part of this community. So glad you like the post! Blogging is definitely hard work, but also. very rewarding. You are right, bloggers are great about sharing to the best of their abilities. I’ve only heard of lack of time being the thing that can prevent it. Good luck to you! You will love it if you decide to do it! Thanks for this post! I needed it. I am just getting started and the last few days have felt very overwhelmed. I know I will get it, eventually:) I was wondering if you have any tips on connecting with other bloggers? I feel a little bit like an iceburg. So glad you liked it Wendy! It was overwhelming for me too in the beginning, but it gets better. 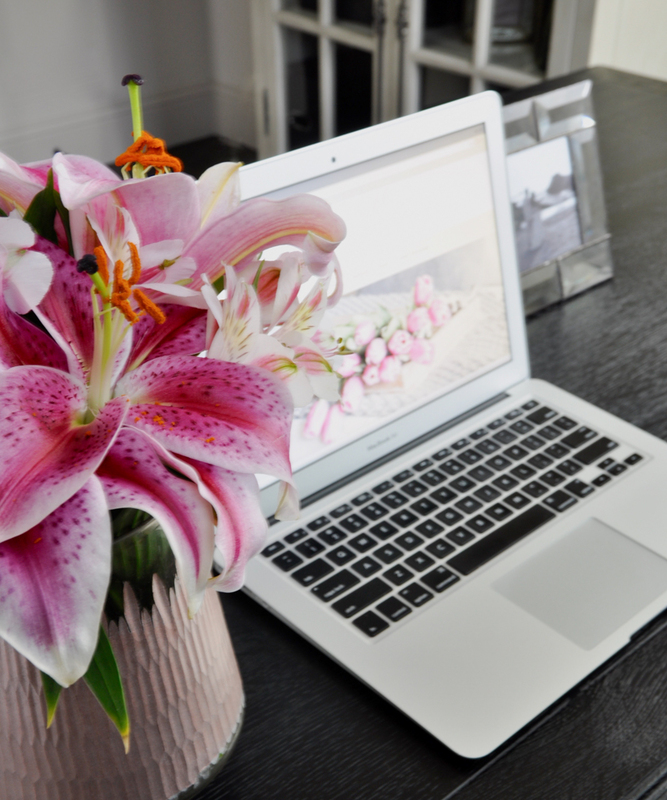 My husband used to remind me that blogging is a marathon, not a race. It helped me realize there is no hurry to get things done. I try to focus on learning how to make my website better. 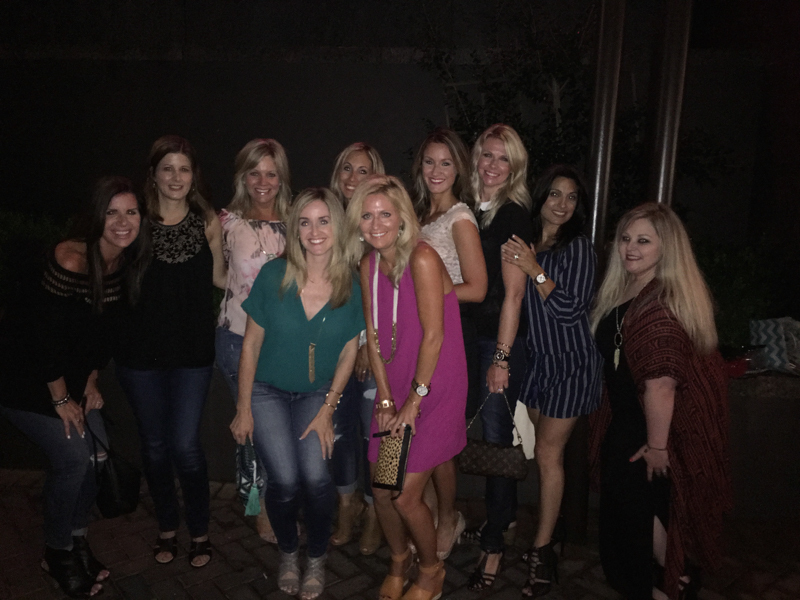 As far as connecting with other bloggers, I met my friends on Instagram and then in person at blogger conferences. Hope you find some connections soon! It is nice to find others who start at the same time as you!